Ringwood XXI (July 31, 2017) – A hot summer evening welcomed five teams arriving from across the metropolitan area to pay tribute to several Grand Prix legends, including Fangio, Brabham, Gurney & Hunt. Team P.R. Reilly arrived in style. 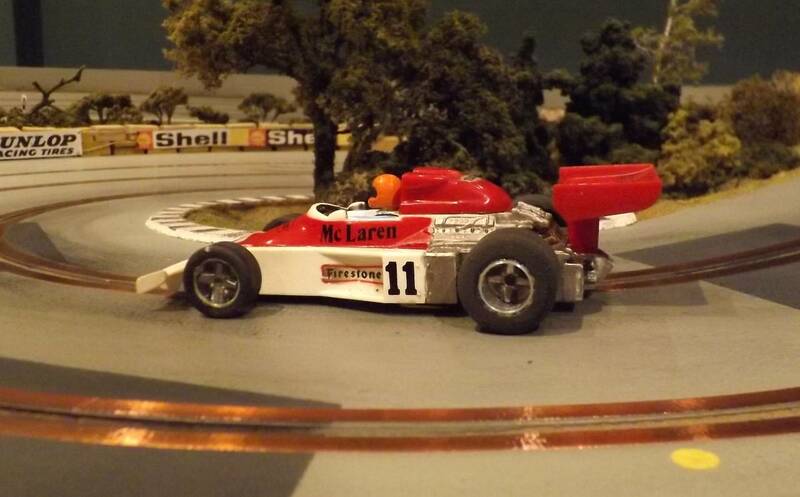 To everyone’s surprise, including race director Fritz Stroebl, a last minute entry from McLaren – a #11 M23 would be raced by James Hunt. Another new entry – this one from Team P.R. 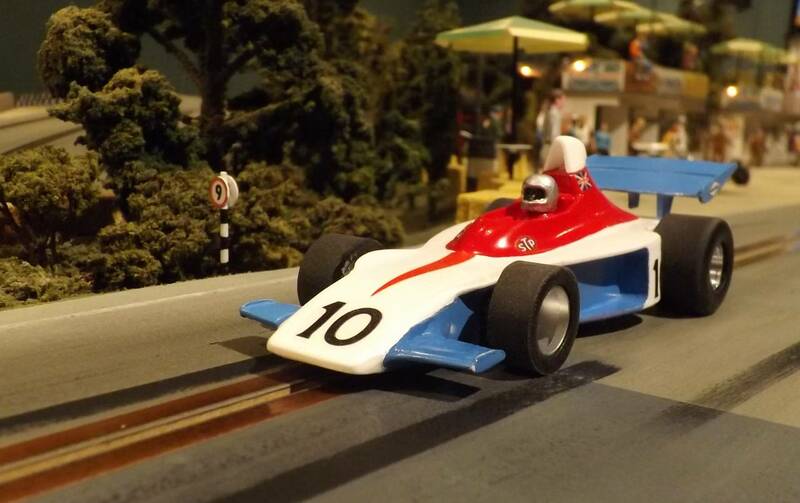 Reilly – arrived as planned with their #10 red, white and blue Shadow DN1 prepped for driver Richard Scott. Others would return – among them Jochen Mass, Carlos Pace and Patrick Depailler in both a Tyrrell 007 and then later in a Ligier JS11. 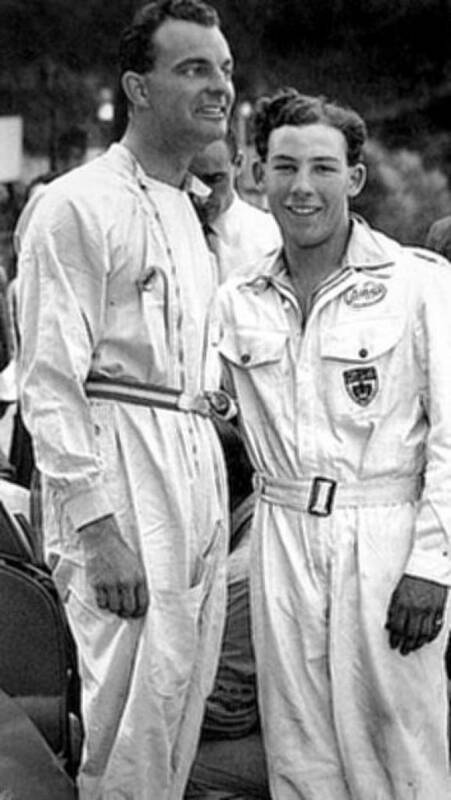 Carlos would set the Pace early followed closely by the German Jochen Mass. Together they would lap the field all the while trading places. 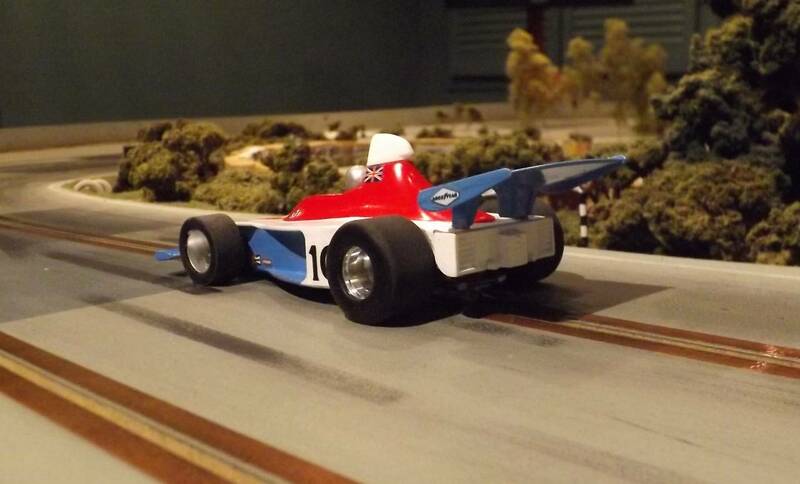 Despite a brief excursion into the forest James Hunt would take the early checkered flag and the race lead. 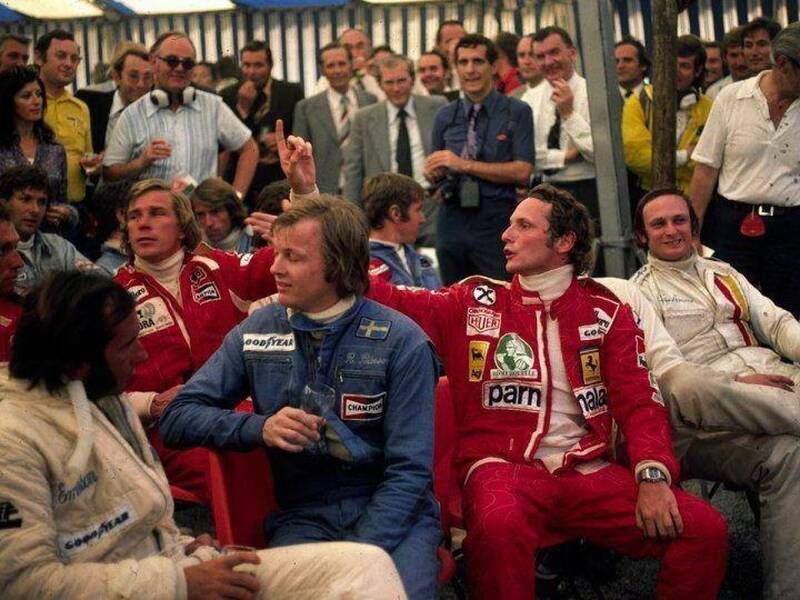 The brothers Depailler decidedly threw caution to the wind as they dueled back and forth for their chance to catch the McLaren, bringing both the crowd and marshals to their feet. Locking and banging wheels for much of the race (a la Villenueve and Arnoux) it would remain a mystery just how the brothers avoided a race ending shunt with one another. 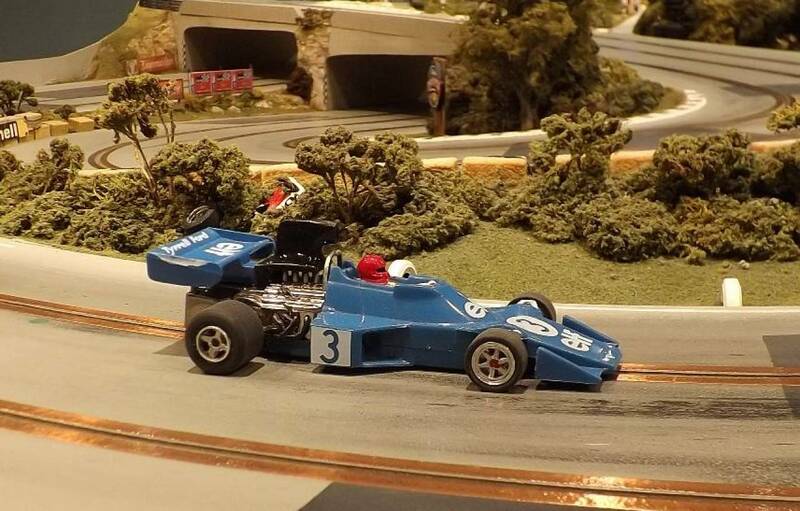 That being said, the Tyrrell did unfortunately receive a flag after being forced beyond track limits by the Ligier, who, just moments before, nearly ended the race of another competitor who was being lapped and trying to stay out of the Ligier’s way. 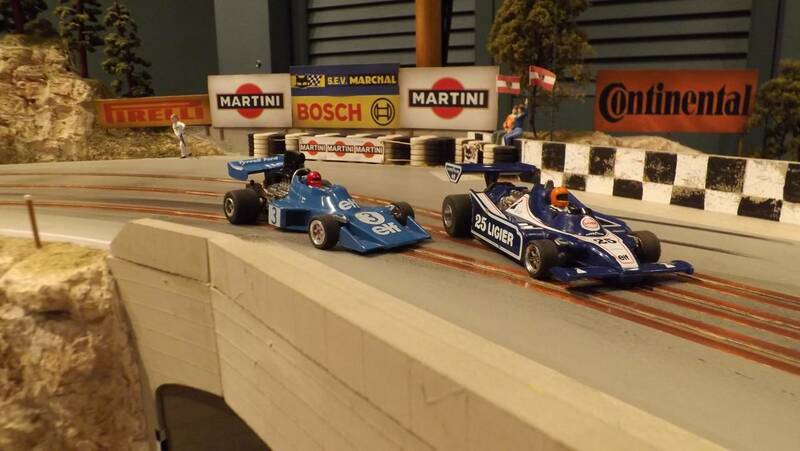 With lady luck looking down favourably on the JS11 it eventually crossed the finish line just ahead of the Tyrrell to move into second place just behind Hunt. 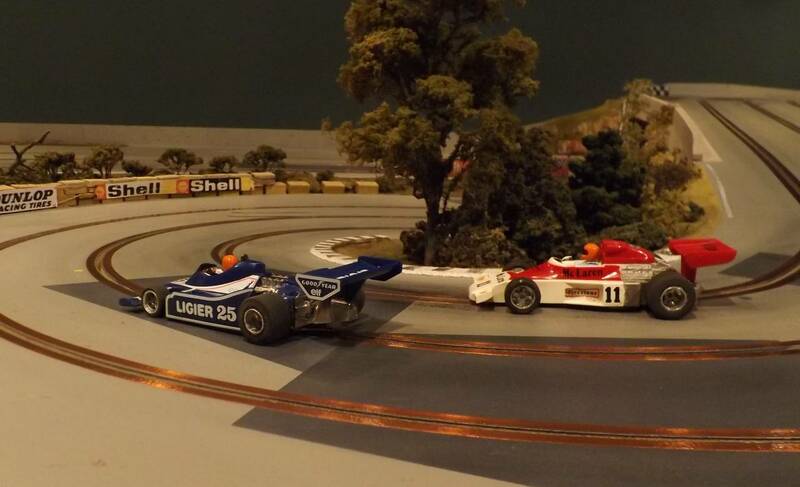 Mass made no mistake and piloted his Surtees to the race lead with just two heats remaining. Starting 5th, Richard Scott struggled early on and although being down on power with a cracked exhaust managed to bring home his DN1 in a highly spirited debut despite several flags. 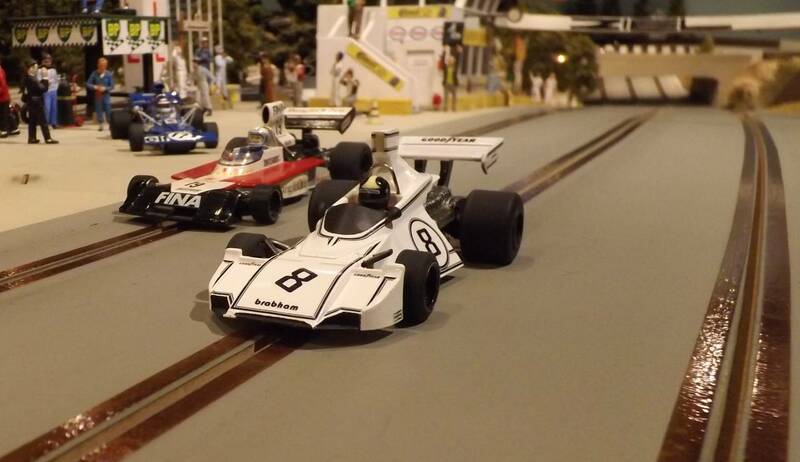 With the finish line in sight Pace pushed his BT44 passed both Hunt and Mass despite a yellow flag to bring victory for Brabham. 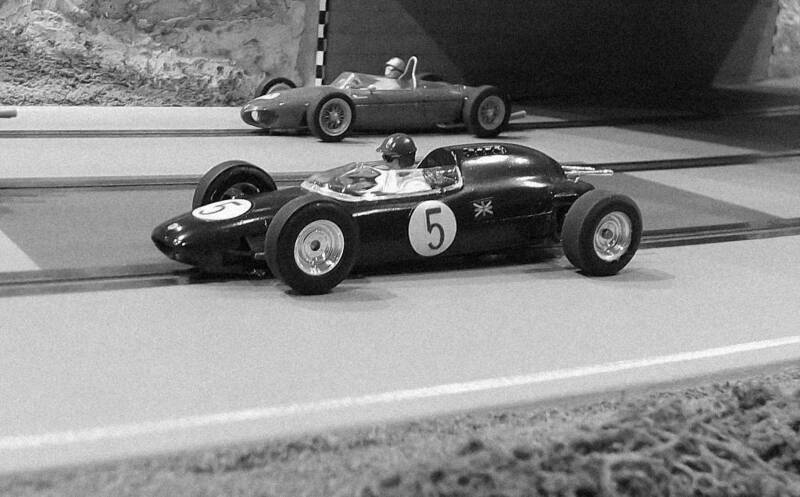 #10 – R. Scott (Shadow DN1) 63 (63.188) x3 [Yellow (+30 sec), Y/R (+15 sec), Black Flag (declined)]. 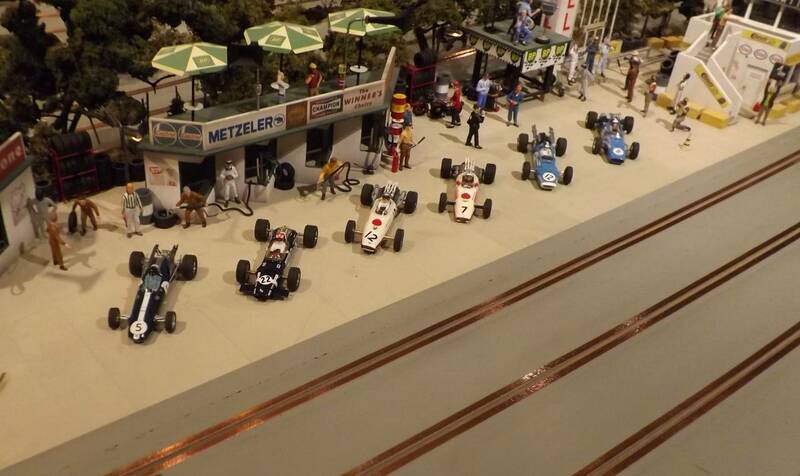 Returning for another Ringwood were a Matra MS10, an MS11, a Lotus 49B, an Eagle Mk1 and two Honda RA273 entries. 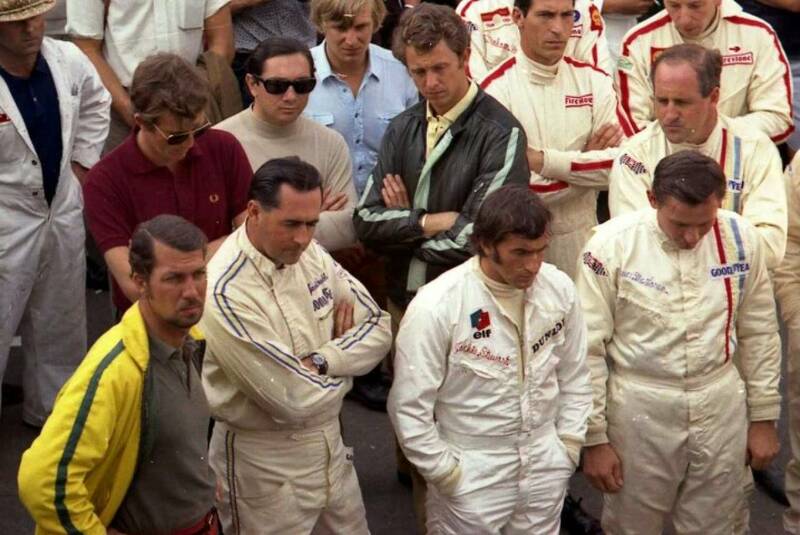 Siffert, Ginther, Surtees, Gurney and the brothers Beltoise were among the pilots ready to take to the circuit. Teams from Japan and France with two entries apiece occupied the first four paddock spaces while next to them the U.K. and the U.S. sported single entries each. With a well timed rolling start ‘Big John’ Surtees jumped into the early lead followed by Beltoise and Siffert. After just 9 laps the transmission in the MS11 exploded leaving a Beltoise brother stranded somewhere on track. 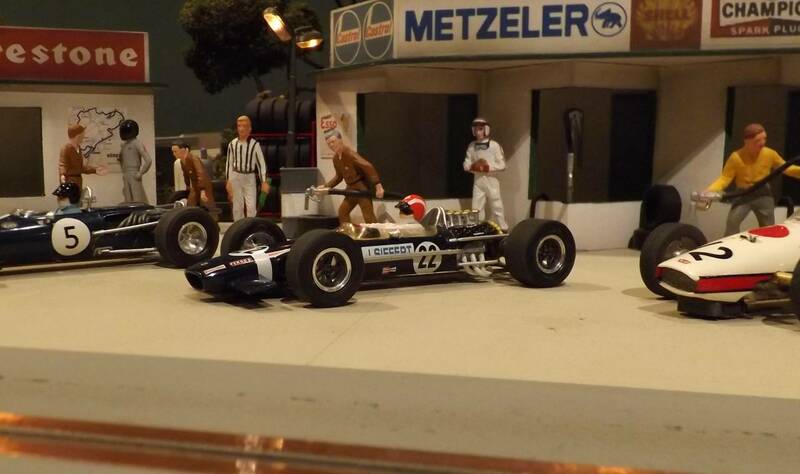 Gurney would lead the chase with the other Honda pilot Ginther just behind, followed by Siffert a couple of laps back. Numerous flags waved for the chasers – the worst being a red flag taken by Ginther – but at the end this did not impact their relative positions. 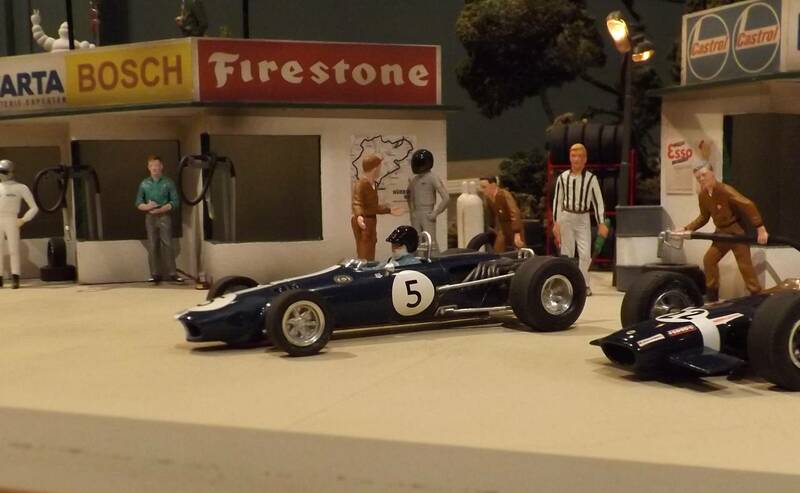 The other brother Beltoise in his #8 MS10 did his best to catch Surtees but fell just short. 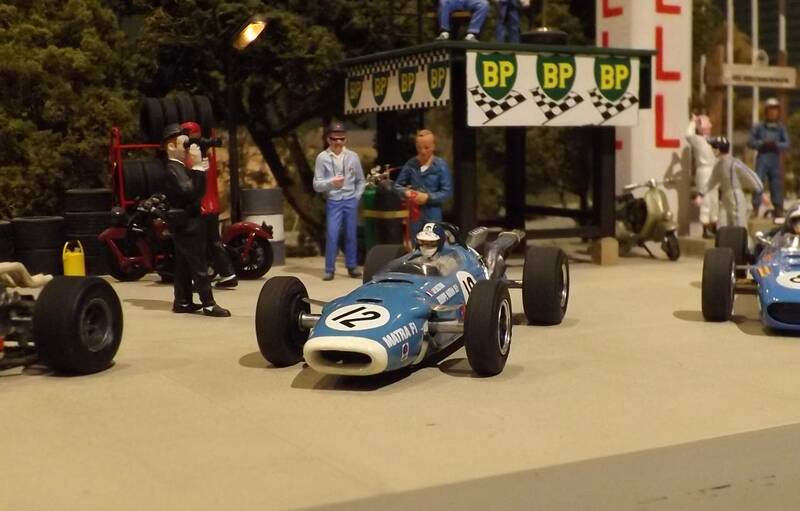 #12 – J.P. Beltoise (Matra MS11) DNF [Transmission]. Crews worked on entries for the 1.5L era – in the parking lot, in the field, alongside trailers and transporters. The grid had one noticeable absence – a Japanese entry that failed to pass scrutineering. 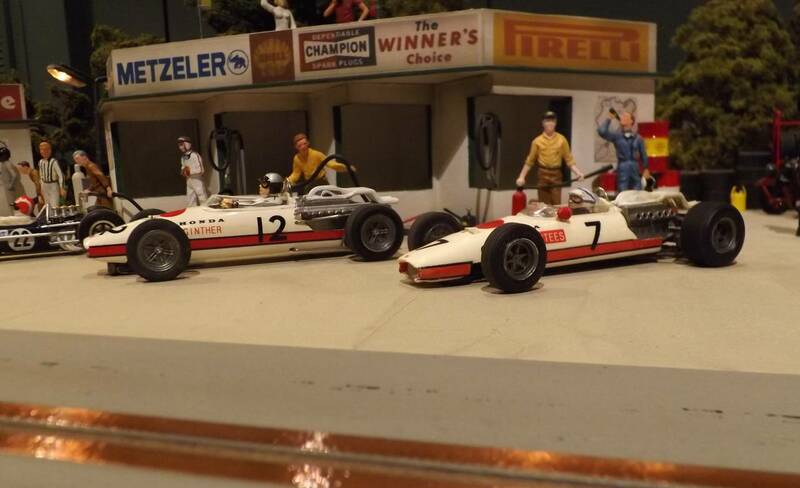 ‘Black Jack’ launched into an early lead followed closely by Trevor Taylor in a Lotus 24. 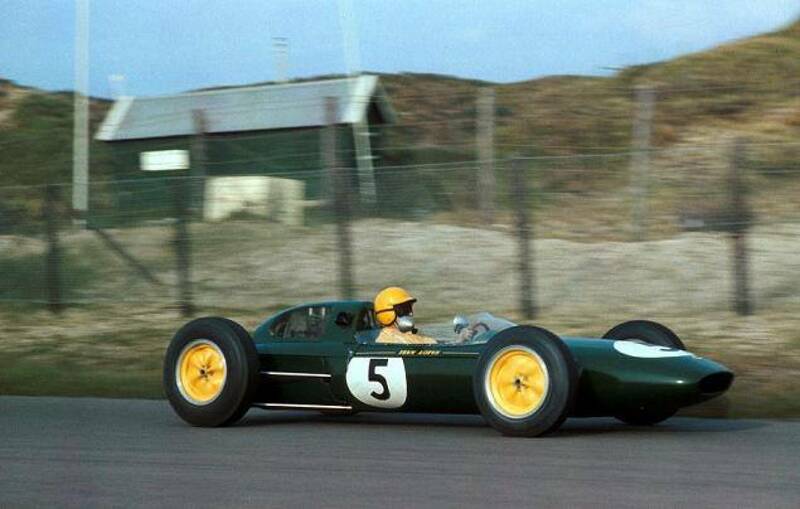 The Cooper of Brabham would catch the Lotus and then set his sights on the leader. Wolfgang von Trips – after a cautious start – began to reel in the field. 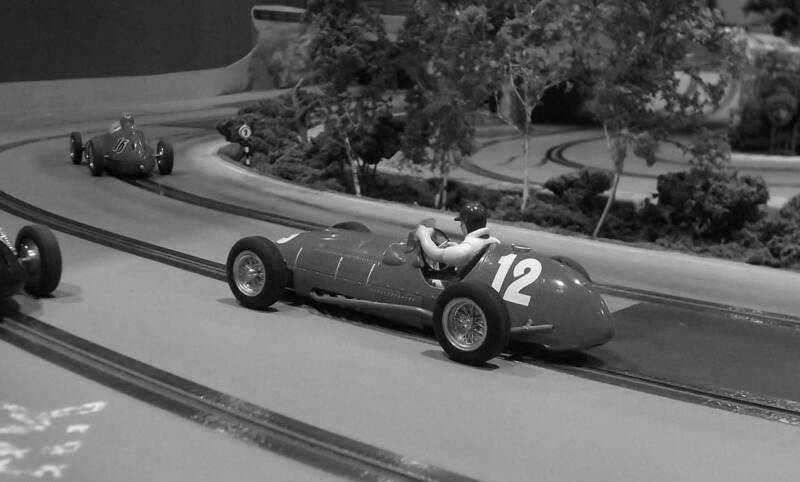 It took just one bobble and the scarlet Ferrari had its chance to shoot past for the lead. 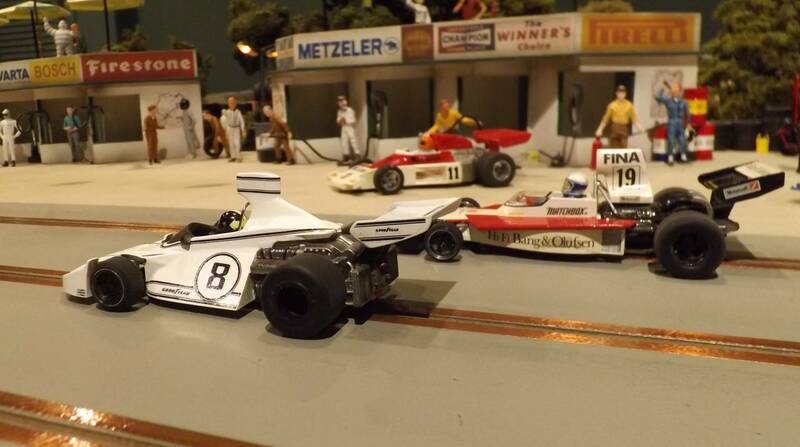 Overcoming a loosened body mount screw Wolfgang would manage to hang on to the lead ahead of a hard charging Brabham. 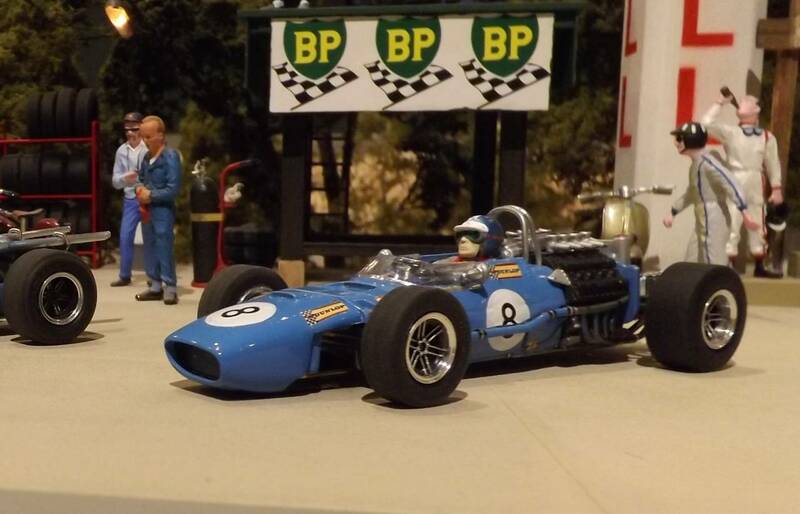 Brother Brabham in his Cooper T53 would finish 3rd. Just a lap separated each of the top three. 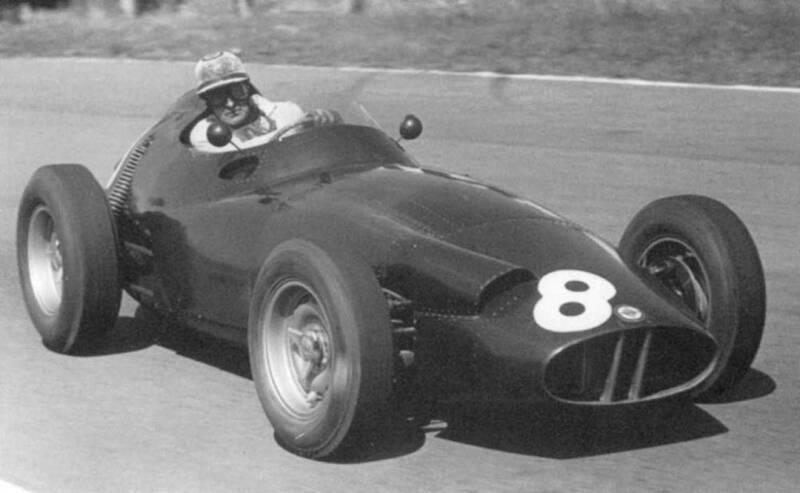 #5 – T. Taylor (Lotus 24) 66 (13.988) x2 [Black Flag (declined)]. 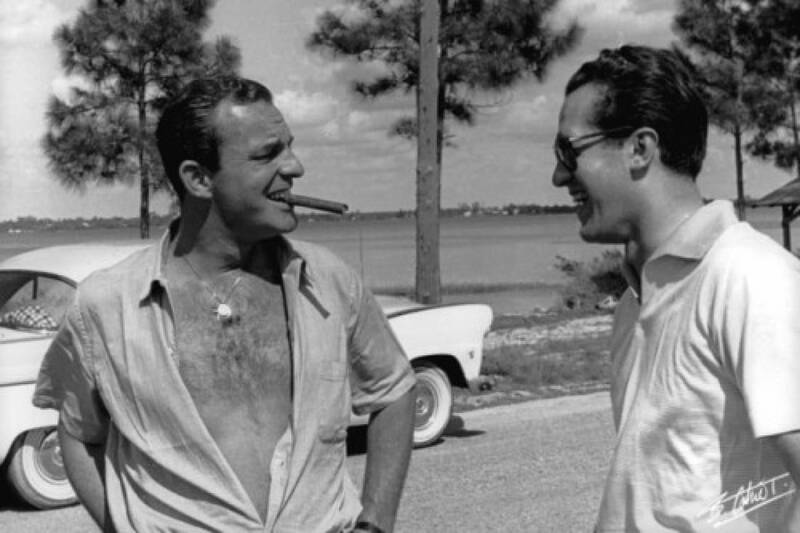 A man of leisure who enjoyed life – here he is in Florida with a favourite tobacco product. 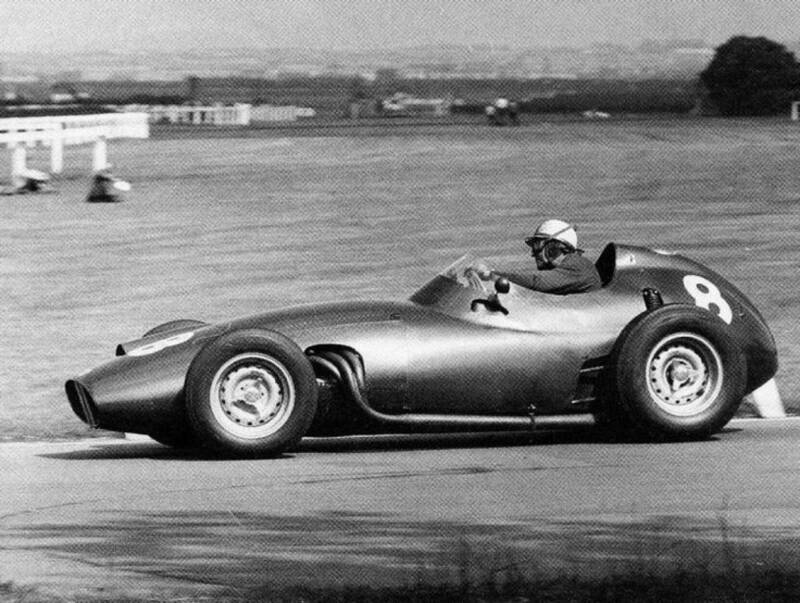 Fangio, in his Ferrari D50, would jump into the lead – and then into trouble. 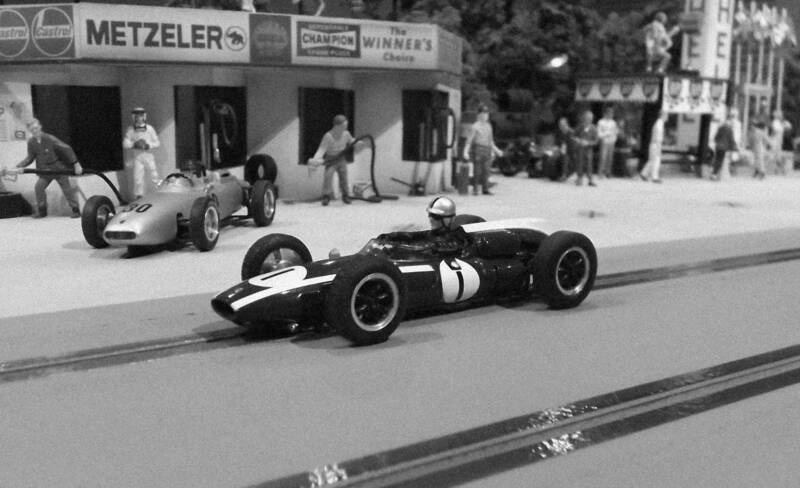 Refusing to be passed he strained his equipment beyond capability – accumulating flags along the way – even collecting the race leader as he was being lapped. 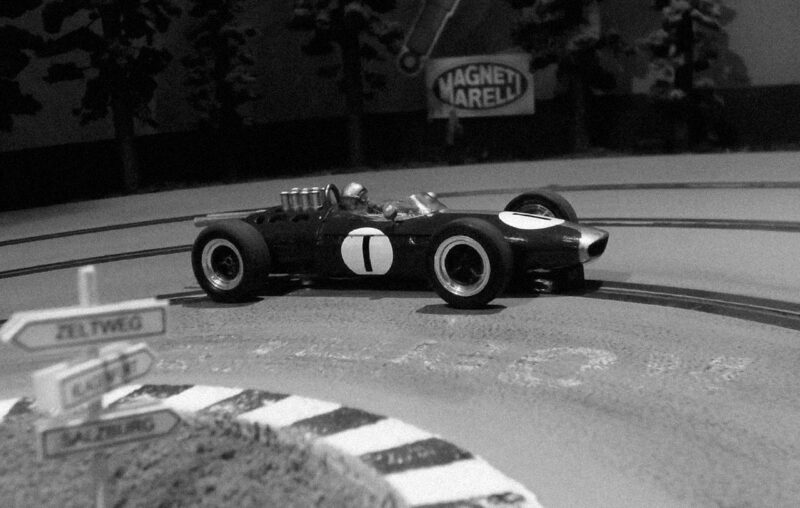 Gonzalez on the other hand managed to remain clear while driving a perfect race to eventually save a win for Ferrari. Excellent photos and remarkable period images. Have we lost the ability to post images from our computer when replying? I don’t see the link any more. Thanks Art. About what I thought after I went to the forums area and could post photos again. I will endeavor to be more prompt in the future. In the meantime… we’ll see if this works?? Oops, the link didn’t show up??? So go over to the historical forum and go to ‘The way it was’ topic to see a period photo from 1967 Mosport Canadian GP. I’ll add a few more in the coming days.